Leave the heavy lifting to us. Bill Removalists Sydney will ensure your belongings are safe. Our staff is equipped with the latest tools in effective moving that will provide quality and speed. Whether you are busy or a moving family to a new place to stay, it is important that your belongings arrive in the new location safely and avoid the risk of damage when transporting the items on your own. Operating out of Moolop just minutes outside of Geelong, Stockwells River Storage is a portable self-storage business here to help you with your storage needs. Visit our website stockwellriversstorage.com.au to find out more or alternatively email us your enquire via admin@stockwellrivers.com and/or call 0412 439 975. Real-time tracking for delightfully simple deliveries. Instant online quotes.Delivery Within 4 Hours · Stress Free Delivery · Easy To Use App · Covered Up To $1, 000. Are you looking for trusted, quick and safe furniture removalists services in Sydney? Then come to Bondi Removals, Sydney's most reliable furniture removalist services providers that expertise in providing hassle-free furniture removalist services at economical prices. For more inquiry visit our site at:- http://www. Courier Boys independently owned courier and express freight company in Australia our fleet of courier vehicles covers the entire country with a comprehensive range of fast, efficient express transport services ranging from the inner city fast delivery couriers to line-haul vehicles. 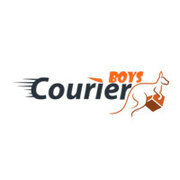 For more information of our Couriers in Sydney call at (03)-8754 8151 or E-mail- info@courierboys. Thinking of moving? Our trusted removalists in North Sydney will take you to your destination. With their fleet of trucks and strong men will help you move your things. With the reasonable price and no hidden fees, you can be stress free while moving. We have expertly trained men that are trustworthy when it comes to your belongings. The Move On Removals team is known for being prompt, professional and reliable whilst continuing to offer affordable removal services. We are a team of committed, enthusiastic and helpful furniture removalists. From the moment you hire Move On Removals movers and packers, you can rest assured that our entire team of movers and customer service consultants are all working to ensure your move is as stress-free as possible. The plastic pallets for sale offered at Abbey Pallets are manufactured using the best machinery, spare parts and tools available to the industry. They’ll make sure that they meet the standards required to function safely before being offered for sale. Everything is so affordable and easy to acquire. Relocating to a new city might cause excitement in you but the mere thought of moving furniture might make you all panicky. With All Clear Removals as the furniture removalist, Rockingham gets a reliable and affordable option. From moving antique pieces to dismantling large furniture, it does all, just to turn the entire relocating process into a more convenient one. Adelaide Northen Removals is most leading company In Adelaide providing best and safe, secure and sound services to their clients and clients satisfaction is the most important and the only GOAL of the company. We have been in this field Since last 15 years with a great expert team with very huge experience, We are having a great name in Local Adelaide Removals, Interstaate & Country Removals, Piano Removal and all other relocation services categories. Finding for cost-effective moving boxes and packing materials at the Sydney city area? 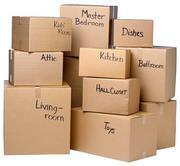 Bondi Removals has a exclusive range of high quality and affordable moving & packaging boxes in Sydney. If you want to relocate or just planning to keep your valuable belongings in the storage then visit: - https://www. One of the best pallet recyclers, Abbey Pallets Pty Ltd has been leading this industry with a vast range of products. The most asked for products are the lightweight 1 tonne & heavyweight 2 tonnes Australian standard types, euro pallets, export pallets, plastic pallets as well as some custom made pallets. Estimate and measured the intensely competitive online removalist from Sydney fast-moving companies. Make yourself a hassle free and find the best mover like ‘Transfer Vans’ one who can easily help yours. For more details, visit:https://www.transfervans.com.au/. Moving house or house relocation is very difficult process. But you can make it just breeze ease with house movers in Adelaide. We have deployed time saving moving process that will not only save you time but money. If you need any furniture items to be dismantled then do it beforehand by Furniture Removalist Adelaide. Are you looking for office relocation in Melbourne? If that so, you are in the right place! We also offer business relocation and interstate removal services to meet your needs. Visit here: http://www.movefast.com.au/office-moving. Courier Boys is a fast on demand express courier and logistics service provider designed for business or personal use in Victoria and across Australia. For more information of our Couriers in Sydney call at (03)-8754 8151 or E-mail- info@courierboys.com.au Couriers Bar Pty Ltd 29 Wendy way Tarneit, Victoria - 3029, Australia Phone- (03)-8754 8151 E-mail- info@courierboys. Need complete storage solutions in Sydney? Bondi Removals is one of the top most removalists solutions provider company located in Sydney, Australia, which is offering highly secure, trusted and convenient storage services in Sydney. Whether you need personal or business storage solutions, Bondi Removals is here to delivers removal and storage services at your location anywhere in Sydney city as smoothly as possible. Courier Boys is the largest, independently owned courier and express freight company in Australia. We offers a comprehensive range of express, timed and economy courier/delivery services entire country with a comprehensive range of fast, efficient express transport services ranging from the inner city and couriers to line-haul vehicles. Stressed of thinking on how to move things to your new place? At Bill Removalists Sydney we can guarantee that we’ll take out the stress of your living. You’re valuable items will be protected because we treat your belongings as if they were our own. We’ll free up your time. You’ll receive a great customer service. We offer the full removalist service from a full pre-pack service including a valet un-pack if required, move your valuables, antiques, fine art and pianos. Our fleet of removalist trucks and moving equipment is modern and up to date and our staff are fully trained furniture removalists. We also offer you a solution to your moving storage needs. Bondi Removals is one of the leading removalists solutions provider company in Sydney, Australia offering highly trusted, complete removals services in Sydney. Whether you are relocating or moving locally, nationally or overseas, Bondi Removals is here to help you relocate as smoothly as possible. Visit our website at:- http://www. Reliable Removalists in Sydney to Central Coast – Hire us Now! Having trouble moving things to your new place? While moving to a new area can result in advancement in life, the actual process of transporting all of your personal belongings to the new dwelling is one that is strenuous and daunting. Not only is the process physically draining, but there is always the impending possibility that you accidentally damage some of your belongings. We are the most reliable and skilled office removals in Melbourne for office or commercial moving service. As professional office Removalists Melbourne, We offering customized services such as packing, moving, setup service, hard rubbish removals, office furniture assembly and more. For appointment booking feel free to call us 03 95634156 / 0430171304 or Visit our website http://mistermover. The Transporter 2 area of expertise is in art transport, art packing and art storage in North Sydney. We offer our customers a precision service, backed by professionals who specialise in this area. Our team is equally concerned and careful with every art move whether it is a single picture, or an entire collection. Cheap Removalists in Sydney - Best Team. Low Price! Relocating from new place to another? Call Bill Removalists Sydney! Moving your home should be one of the most joyous occasions of your life but it is often bogged down with stress. Many things need to get done in a short amount of time. That means a lot of opportunity for forgetting things or random accidents. Hills Self Storage is an Australian family owned business with over a decade experience in self storage services, providing a special storage area for park your caravan and boat. All our buildings are covered by security fencing, pin code access, separate alarm and 24 hour CCTV surveillance. Our Storage Facilities Includes: --> 24 hour camera surveillance --> Secure Fencing --> Long and short term storage --> Seperate Alarmed Units --> Free Pick up and dispatch service --> Clean and secure storage areas Call us on 02 9659 1122 for Caravan & boat storage pricing inquiries Or you can visit our website: https://www. 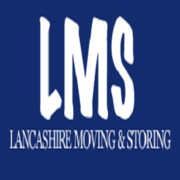 Looking for the best team to help you out with your moving needs? Bill Removalists Sydney is the perfect team to call! We offer low cost removalists in Western Sydney; our professional moving team can cater for all your requirements. It doesn’t matter if you are interested in Western Suburbs furniture removals or you need assistance with an office move across the city, we will be there to help. Relocating your precious furnitures can be stressful, right? Bondi Removals is a highly trusted furniture removalists company in Sydney which offers furniture removals according to your budget. Whether you're relocating or just want to move your furniture or business equipment safely from one place to another, Bondi Removals offers the safe furniture removal services in Sydney. Moving services, storage services Australia ads Australia, Moving services, storage services classifieds Australia, Moving services, storage services free ads Australia, ads for sale Australia, ads to buy Australia, FREEADSAustralia Page number 5-1. Find here ads for sale, to buy and rent in Australia. Goods for sale in Australia, vehicles for sale in Australia, Australia real estate for sale, Australia property for sale, property for rent in Australia, business ads in Australia, Australia business classifieds, services in Australia, Australia services ads, jobs in Australia, pets for sale in Australia, Australia dating, Australia cars for sale.